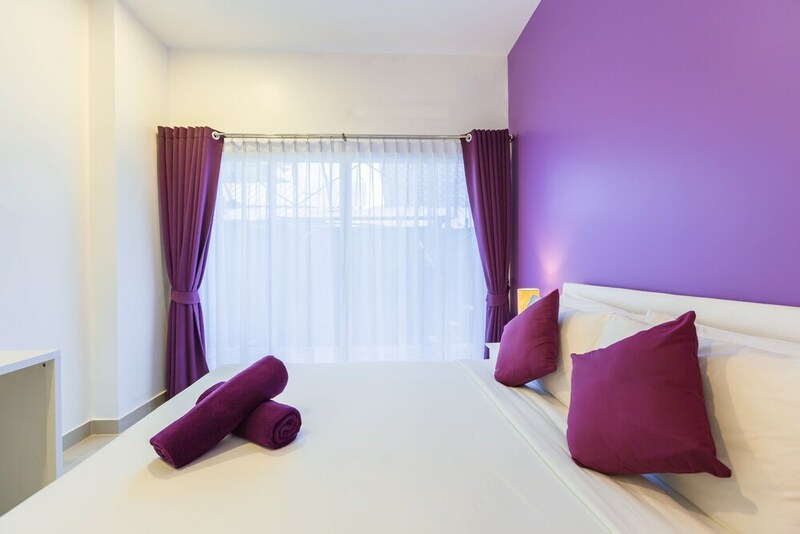 Located in Pattaya (Pratumnak Hill), Hotel Zing is within a 10-minute drive of Jomtien Beach and Thepprasit Market. 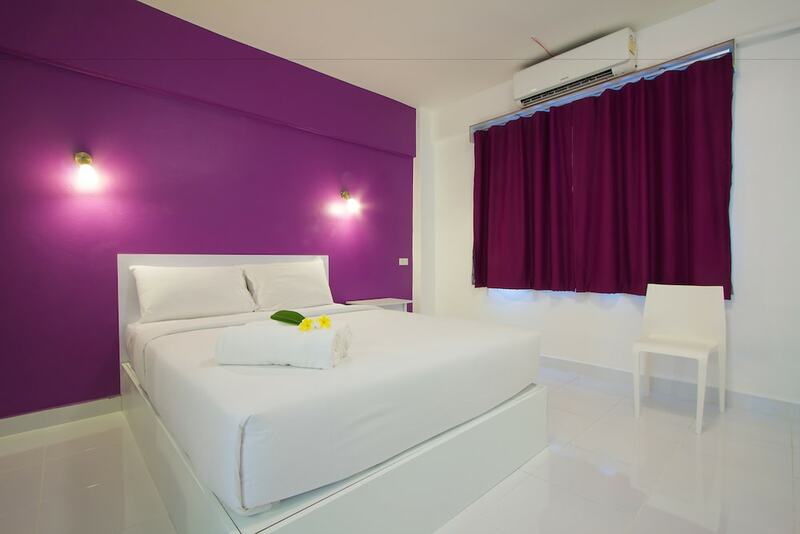 This hotel is 3.8 mi (6.1 km) from Pattaya Beach Road and 3.8 mi (6.1 km) from Pattaya Beach. 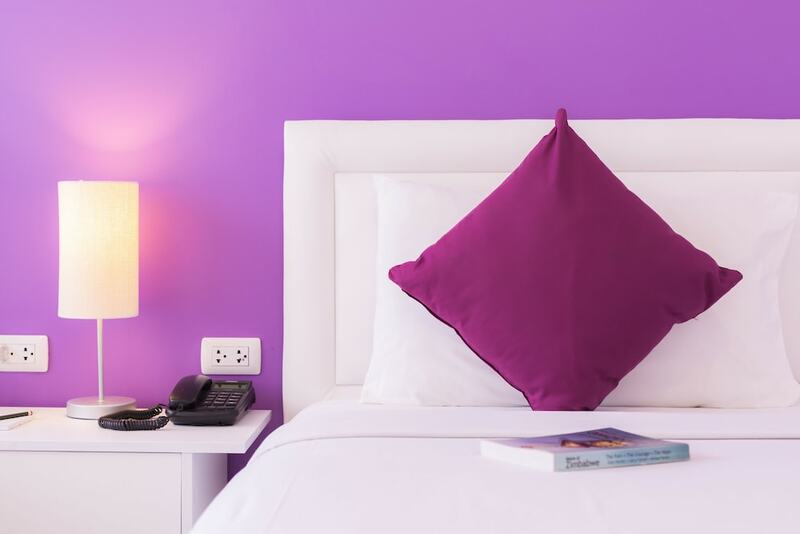 Make yourself at home in one of the 134 individually furnished guestrooms, featuring refrigerators and LED televisions. Complimentary wireless Internet access keeps you connected, and cable programming is available for your entertainment. Private bathrooms with showers feature complimentary toiletries and hair dryers. Conveniences include phones, as well as safes and desks. Don't miss out on recreational opportunities including an outdoor pool and a spa tub. This hotel also features complimentary wireless Internet access and tour/ticket assistance. Stop by the hotel's restaurant for lunch or dinner. Dining is also available at the coffee shop/cafÃ©, and room service (during limited hours) is provided. Quench your thirst with your favorite drink at the poolside bar. Buffet breakfasts are available daily for a fee. Book now for extra savings! Clean, hygiene and friendly Hotel. Hotel is on Thapparaya Road. 10-15 min walking to walking street and Beach Road. Tuk Tuk is easily available. Lots of Indian restaurants nearby. Specially Masala house and Suruchi restaurant offering buffet. Its a guest free Hotel. Even if you are staying 2 person in a double room. They wont charge for bringing guest. Pool is nice. Rooms were clean. Spacious. Love everything I get from the Hotel. 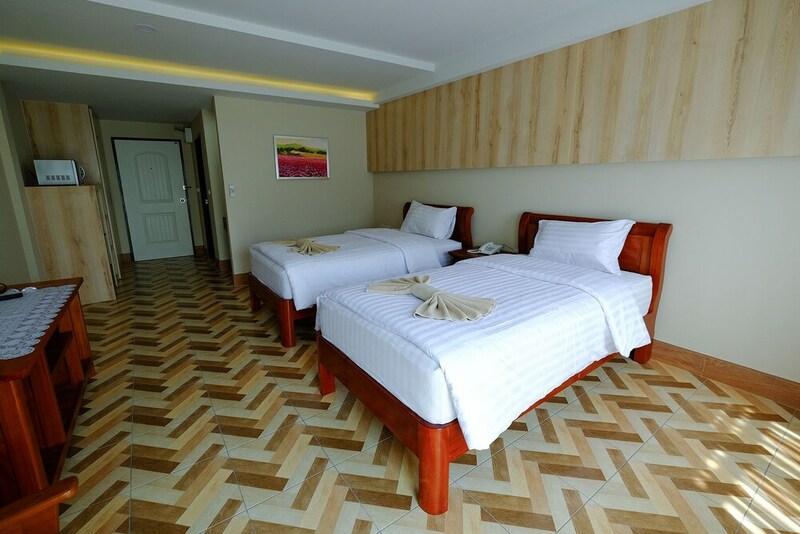 Cleanliness, staff behavior, room size, best price, best location. Must stay Hotel in budget room. Awesome Hotel at the budget price point. Best bus get family Hotel in Pattaya. Many problems in the room. WiFi does not work in the room, it only connects at the reception area or else not. Bathroom water temperature can not be controlled, it is either boiling hot or very cold. So it can never be set to medium temperature. Cleaning of the room happens occasionally but not everyday. There is no available balcony in almost every room. So you will have to come down to reception if you want to sit outside the room. One night staying is good. Room size is small. AC not working fast, room size is small. Stay was good, room was also clean, overall it was good. Hotel staff behavior was not good. I stayed at Zing Hotel for 2 days and it's close to the City center and could find many Indian restaurant. The sunset is good at the top of the Hotel and can See big buddha. Budget Hotel, value for the money. Good, clean rooms. Didn't had food here. I didn't had and guests here but I could See other tourists were bringing in guests without any issues. Staff is not so friendly, but they don't bother you either. Liked the colour. Reasonable rate and clean rooms. Good location, as Tukk Tukk is available to walking street and Beach. Bathroom is small and toilet seat is uncomfortable as wash basin is just in front. Cupboard is also just in front of the door which makes it difficult to enter the room. Rooms are clean but traffic noise on highway road on backside of the Hotel disturbs. OK breakfast is available, 7 to 11 AM in the morning. Room size is OK. Very near almost 800 meter to Bangkok Airport, bus service to Pattaya. WiFi was good, room was clean and nice, pool was good, location was good, receptionist was good, and overall good. Over all good. Wifi, room clean, pool superb. Friendly Hotel staff are very gentle I had good time in Hotel. Room was good also the location is fine all good places are nearby only. However I was not satisfied with the staff behavior and hospitality. They seem to be very annoyed and unfriendly all the time, not sure why.
" The Pattaya Marriott Resort & Spa is located in the Pattaya City Centre and features rooms that offer pool, sea or garden views. Very good Hotel Zing near to both beaches not so far from walking street. It have swimming pool and staff is good, overall very good. You can take bike on rent to roam around. Bike you can take on rent which is very near to this Hotel Zing moreover tuk type taxi (of ISUZU) roams 24x7 on the main road. Far from noise and loudness of Main beach road and Walking street. If you want calm place then go for it. Mind it walking street is not at walking distance it is around 1. 6-2 km from it. Budget Hotel Zing very good. No words for food because I am not eating in Hotel Zing. Very good Hotel Zing for me and my friends I stay there like home. Staff is very good. Room is good. 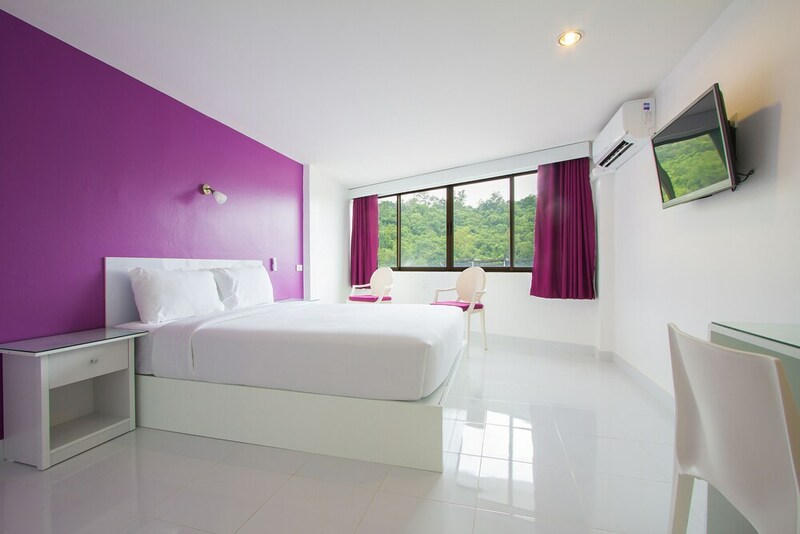 Everything is good in Hotel Zing if I touring next time to pattaya I booked this Hotel Zing again. I enjoy to much in rooftop swimmimg pool. Pool is to clean. Anyone gobto pattaya stay this Hotel Zing and enjoy the tour and everything. Clean, happy place. Very helpful staff. Hotel Zing is one of the best Hotel Zings I have stayed in Thailand. Very clean rooms, good services. Receptionists very helpful, open 24 hours. The location Thap Phraya Road is on the second street from the party areas, but very peaceful. Grocery stores like 7/11 is next door. ATM, taxi services nearby. Swimming pool is wonderful. Very good services for this budget. Would stay here again! We were couples and we booked penthouse room on the top floor according to price room was very awesome, you will actually feel like that you have a private swimming pool on roof top because there is no rush on top floor. Swimming pool but down stair pool is full of rush and with a outdoor type of feeling for couple. I will suggest penthouse room on top floor. Thanks. Very nice Budget Hotel Zing, rooms are well organised but small. Little away from walking street. We need not worry on this aspect as many vehicles like share autos in India is available. Charges were just less than 20 bhat per person. Swimming pool was very good, they have very good space on the front lobby where you can relax yourself. Hotel is very good location, also near walking street. Liked WiFi, so fast and swimming pool is also big. Next time sure I will come to this Hotel Zing. Service ia also good and employs talk friendly. Front office is very clean and food is also clean and hot. Rooms are very clean, everything in Hotel Zing I like it. Awesome experience. Nice location. Clean swimming pool. Big size rooms with great WiFi. Must suggest this Hotel Zing for travellers. Awesome Hotel Zing to stay and enjoy your trip. Nice pool is there to relax your quality time. All the modern facilities are there. Location is also very good. Nice location, very well maintained swimming pool, clean rooms and helpful staff. I like each and everything of this Hotel Zing. This is my second time in this Hotel Zing all reception staff are very good and have nice behavior. Keep it up Hotel Zing Zing all the best. It was overall a good stay. But the room was noisy. Front desk staff was very poor in English. They must keep trained staff on the front desk. Breakfast was good. The room was noisy. Bath soap and shampoo was not provided. Room was clean and lighted. Rooms are spacious, clean, pool is nice. Rentals and Public Transportations are available nearby. Walking street is not near but nor far neither. Probably a 15 min walk which is okay as you pass through a lot of restaurants and pubs on your way. Location of the Hotel Zing is awesome. Just few minute away from the beach and walking street. The Hotel Zing staff if very polite and very professional. Luckily they had upgraded our room without being charged. Thanks for your hospitality. No negative, all positive feedback. Pool, ac, clean rooms. It's on that bus route. I prefer to go again. Front office collects amount as security deposit. I stayed in the new wing. Got upgraded to a deluxe room at no extra charge. Clean rooms but on the smaller size, even though it was a deluxe room. Bed was a bit too hard. Good location on Bhat bus route. Located centrally, peaceful property and courteous staff. Nice stay, i would like to visit once again. A very good stay in a cheap price, a little far from walking street but good stay, 7/11 store next to the Hotel Zing is the best facility. This Hotel Zing awesome view place and services excellent. I had a good stay at Hotel Zing, food was also good. It is very good Hotel Zing. All service good. Everything was good no issue with Hotel Zing. Good Hotel Zing, when I am come Pattaya again will stay at this Hotel Zing. Nice and clean value for money. Good Hotel Zing and best price. We can trust Hotel Zing staff they are very nice. 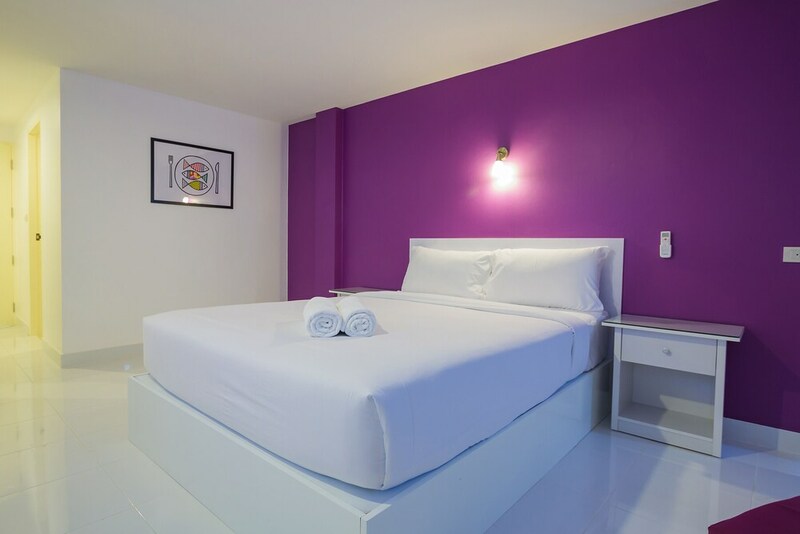 Room was clean location is awesone as it is really close to bothe the beach and walking street. 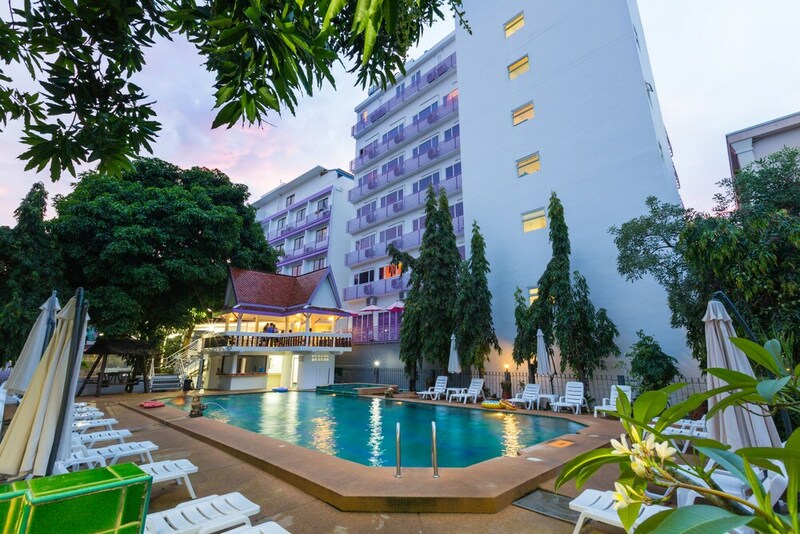 The Hotel Zing has 2 swimming pools, one at the terrace and one at fhe ground floor. Weather was really nice. Location wise is very good. Easily you will get Tuk tuk. Room was very nice and Hotel Zing people also very helpful. Good and nicely maintained, new building. Nice ambiance. Good location, just 2 KM away from Beach. And awesome swimming pool. Good Hotel Zing nice swimming pool and clean room but far from walking street. Very good and clean but little far from walking street. But good connectivity with Tuk Tuk . Very neat and clean, public transportation services, very easy just front of yours Hotel Zing, staff very polite, but need to available washroom jel, soap.